Guitar and bass strings are made of hardened stainless steel or nickel with thicknesses as high as 3mm. 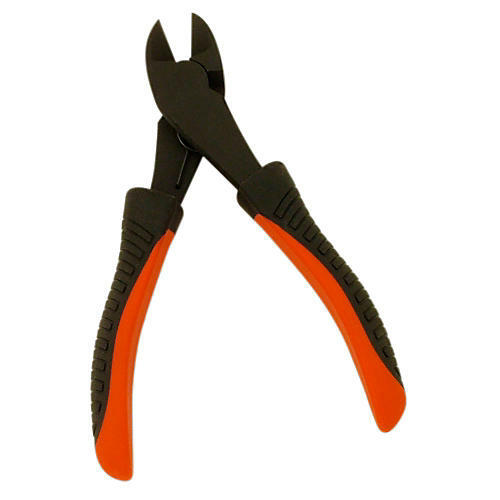 Ordinary diagonal cutters are designed for soft copper, and thus fail miserably when used on strings. GrooveTech String Cutters were developed specifically for this application, using a proprietary heat-treatment process. Despite its compact six-inch length, even "B" bass strings cut easily and your days of dented blades will be a thing of the past. Vinyl grips feel great in your hands. Order today and dented blades are a thing of the past.